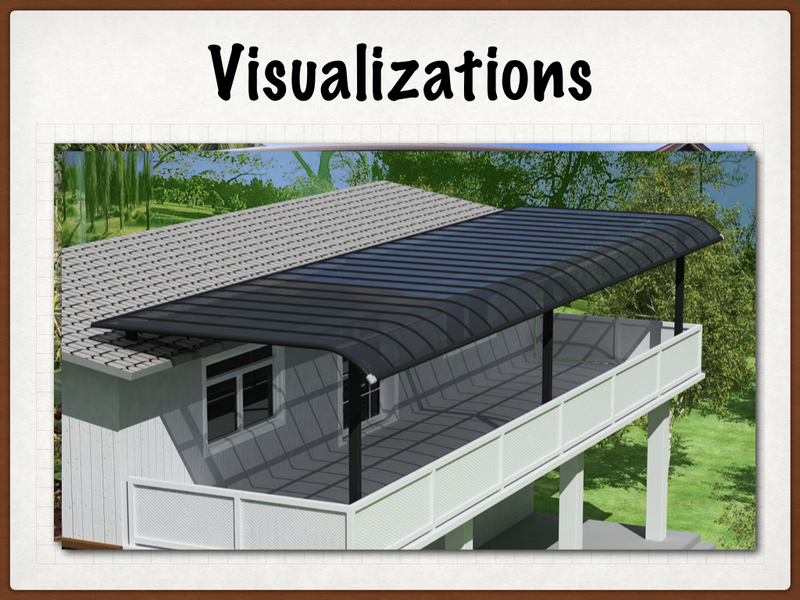 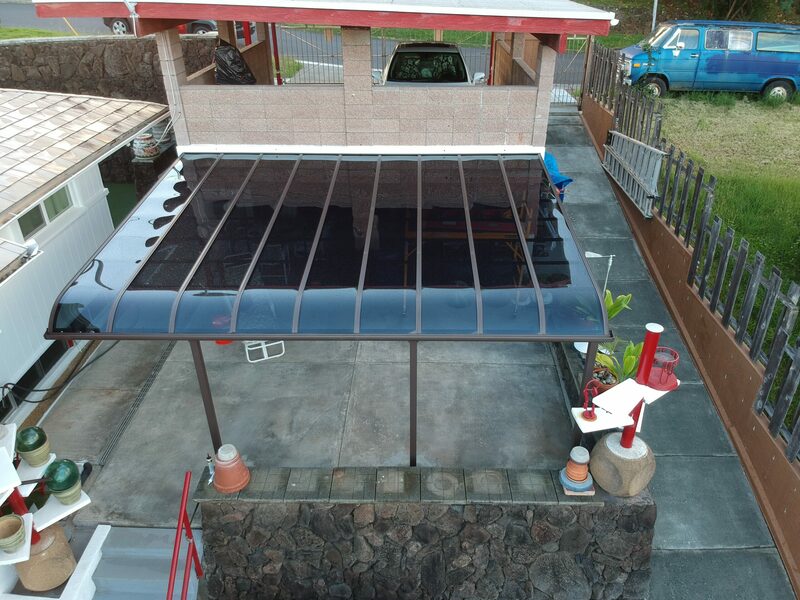 Home - Aluminum Carports, Patio Cover - We got you covered! 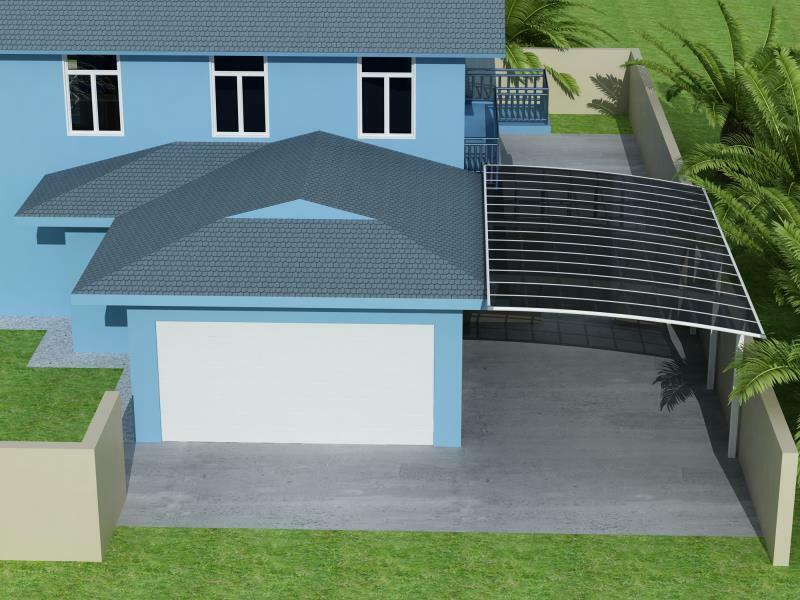 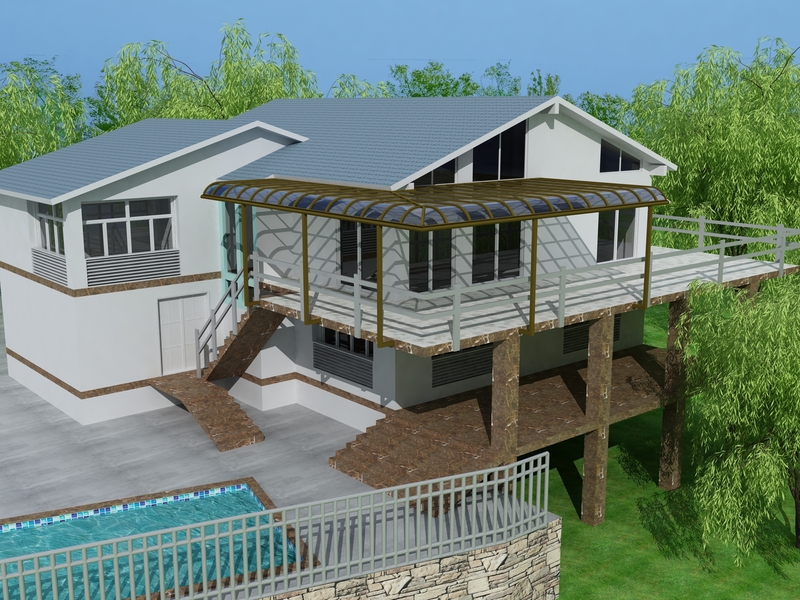 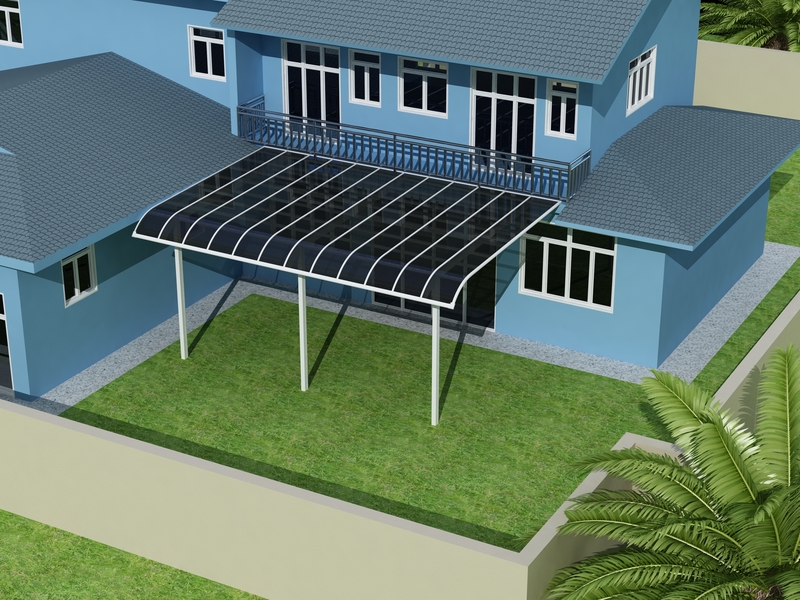 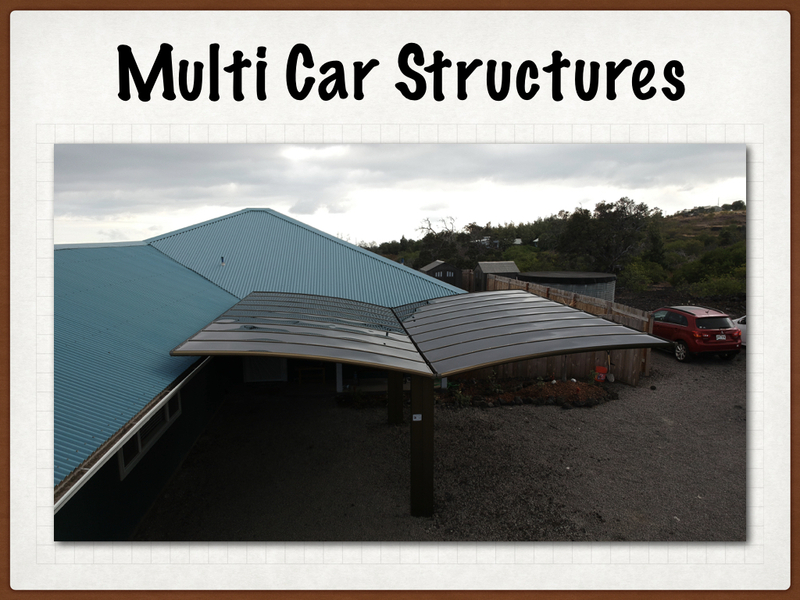 We offer aluminium carports, patio & pool covers, and have installation services that are sure to make you satisfied. 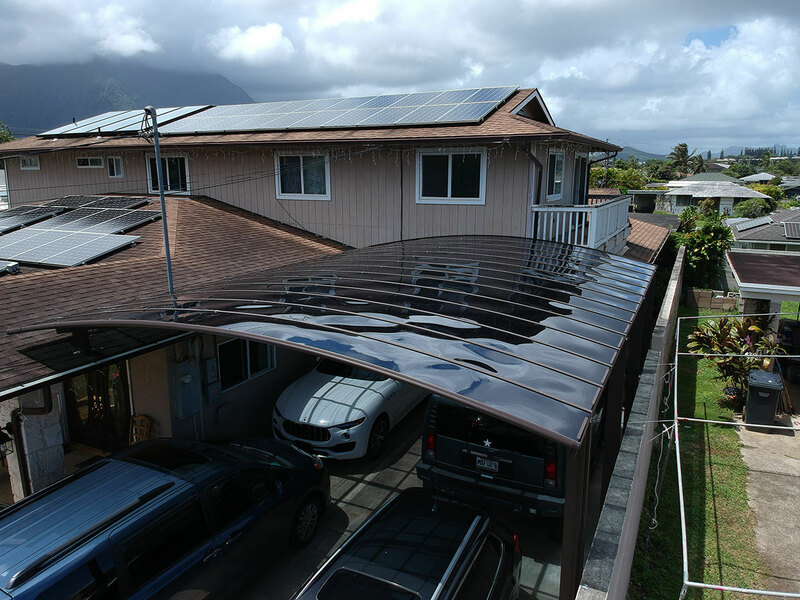 Our unique customization ideas are easy to install, use, and clean. 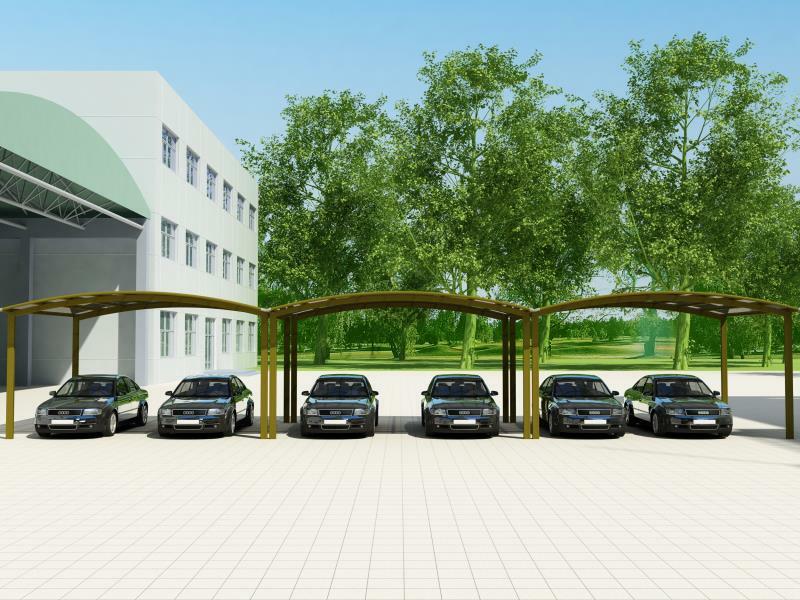 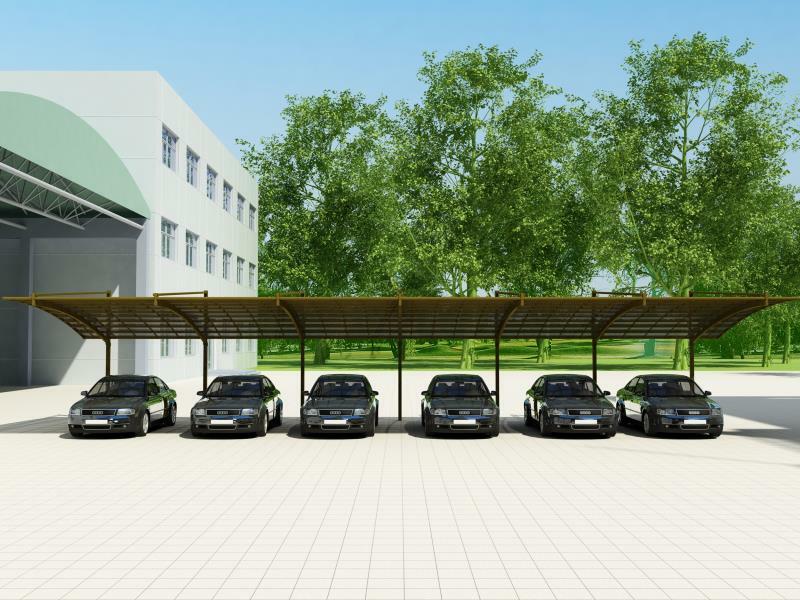 Standing alone aluminum carport in champagne color. 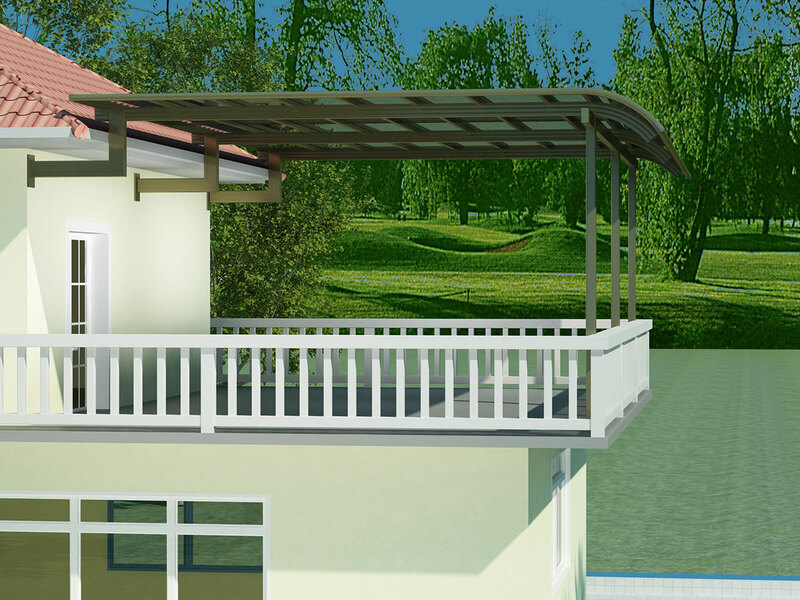 They can be customized according to your needs and wants. 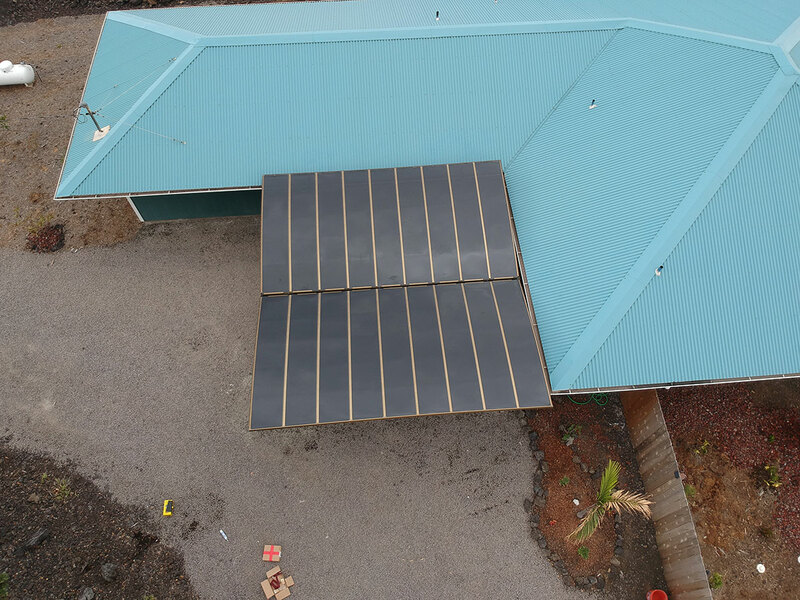 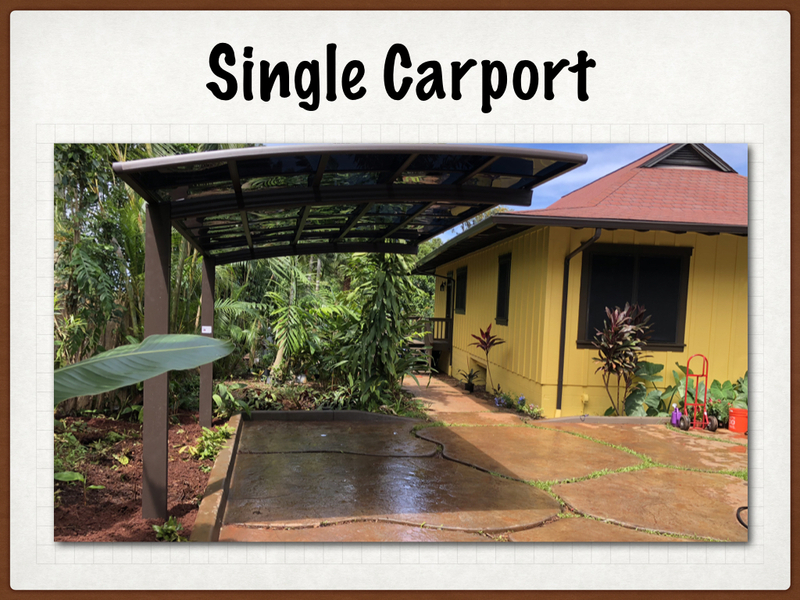 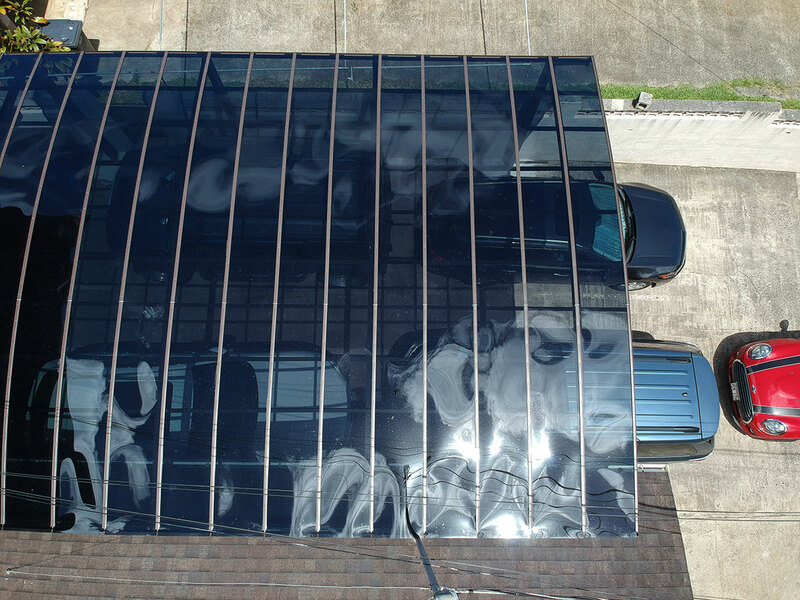 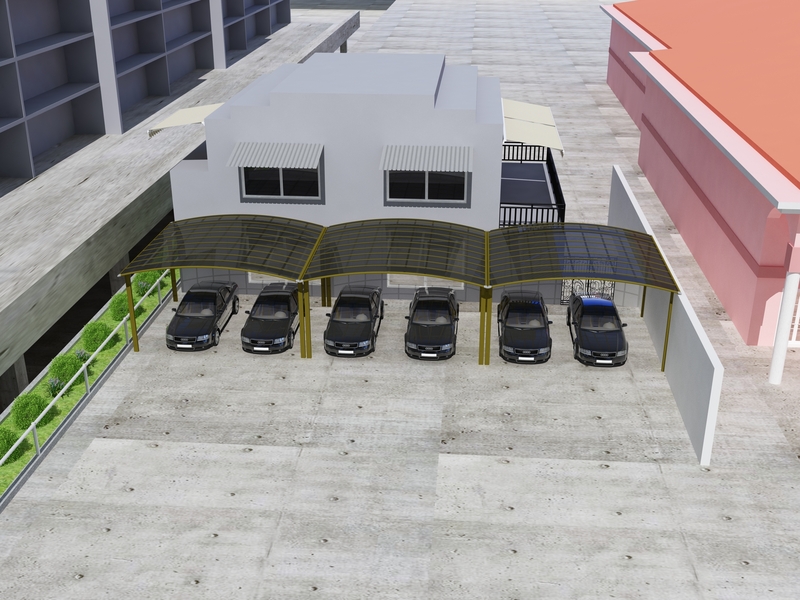 We offer only best carports in Hawaii! 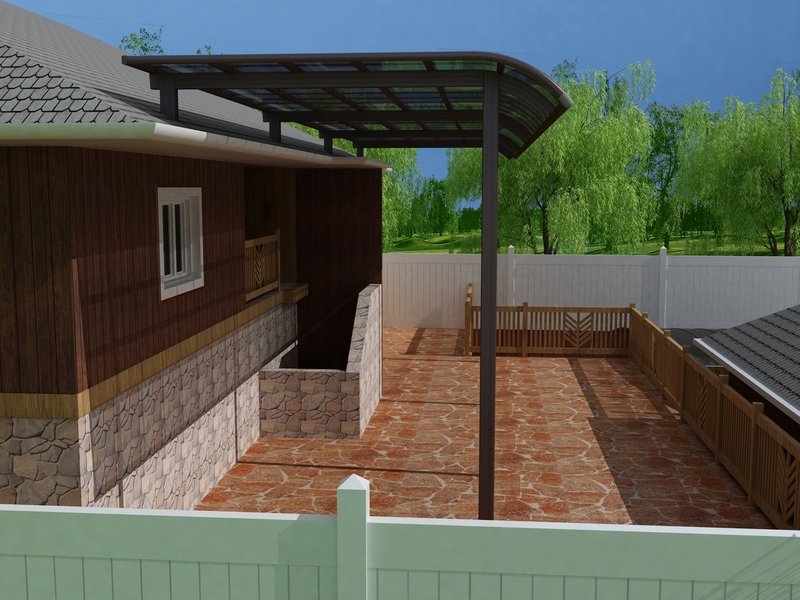 High-quality materials make the products long-lasting and durable. 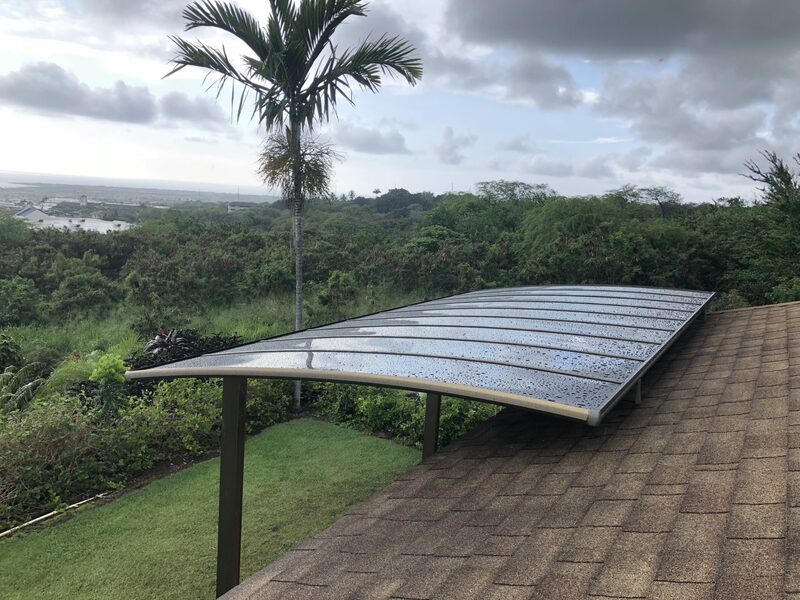 Once installed, can be used for years to come. 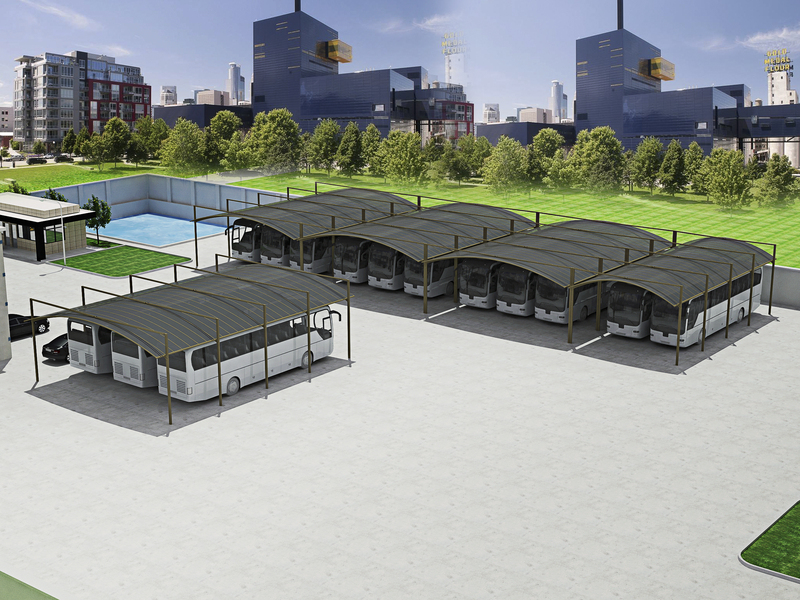 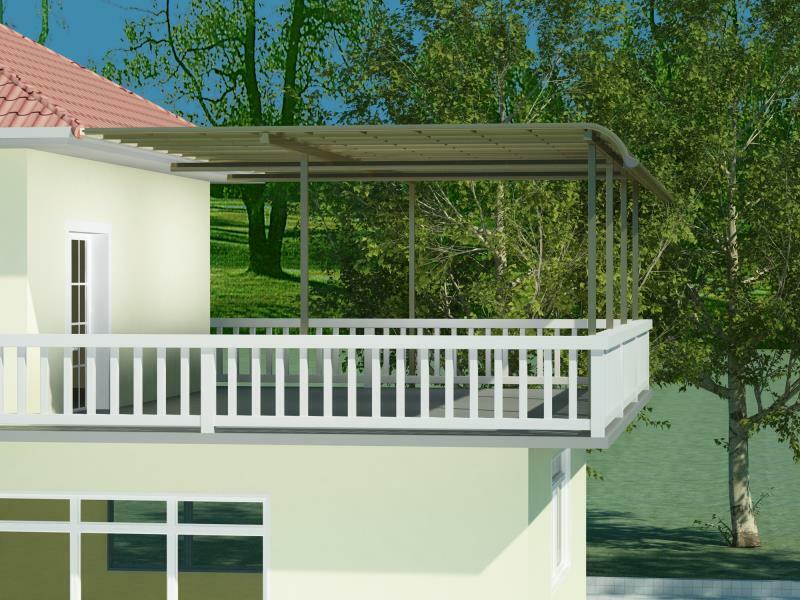 Strong and modern architecture that provides impact resistance in case of outdoor accidents. 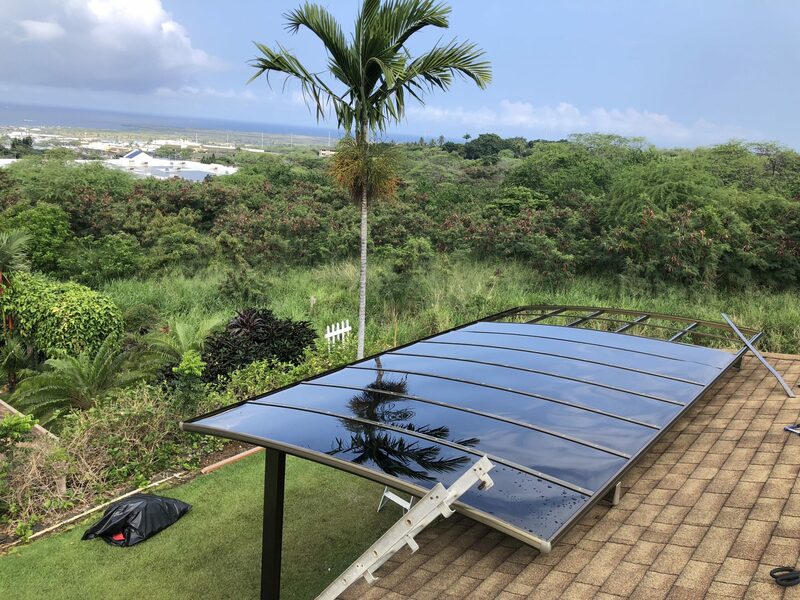 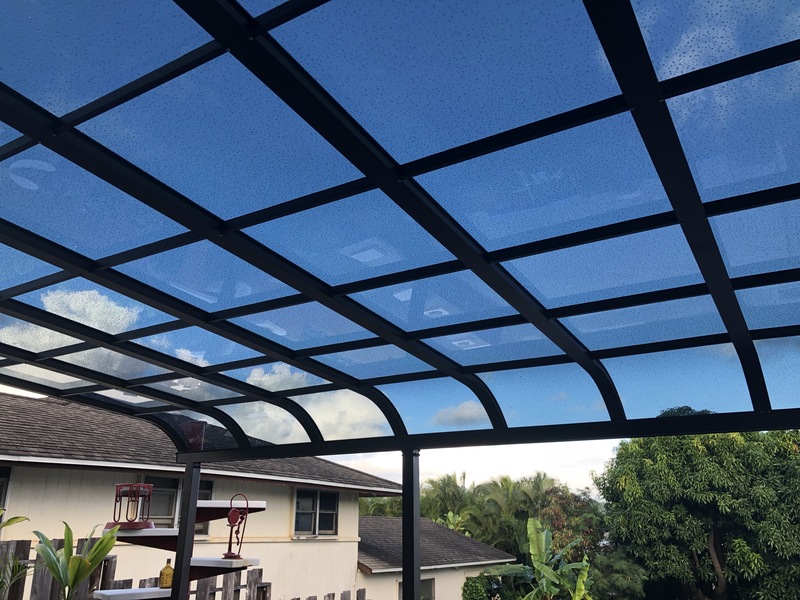 Our products are made from high-quality materials and give you the chance to enjoy the outdoors without having to stay in the scorching heat. 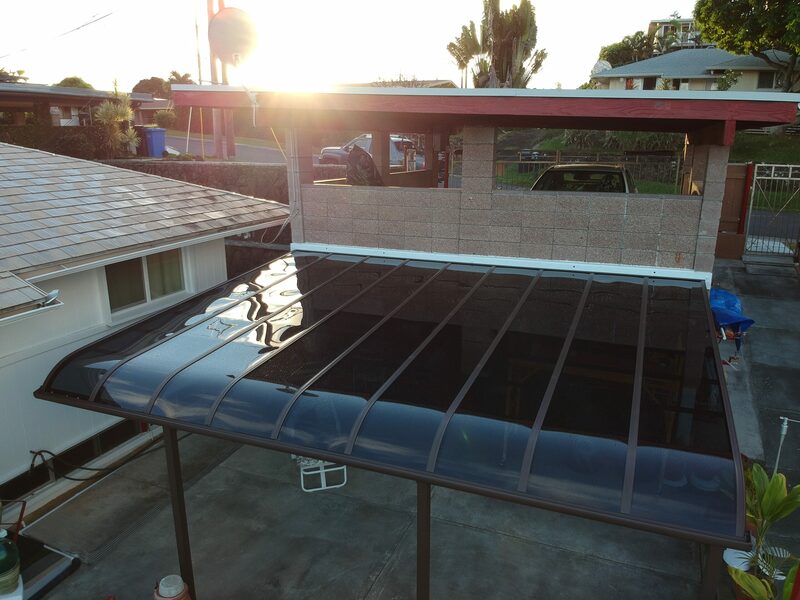 Champagne color patio enclousure made out of aluminum framing and polycarbonate panels. 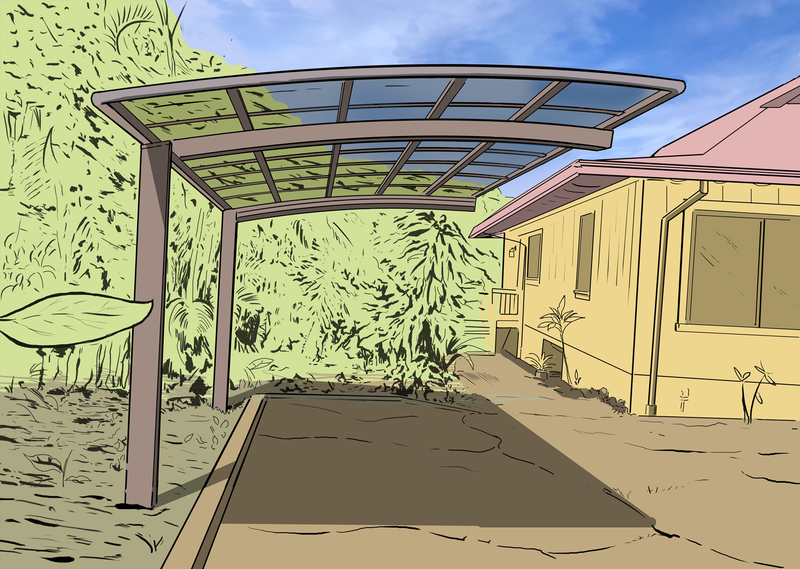 They also give protection against harmful UV rays. 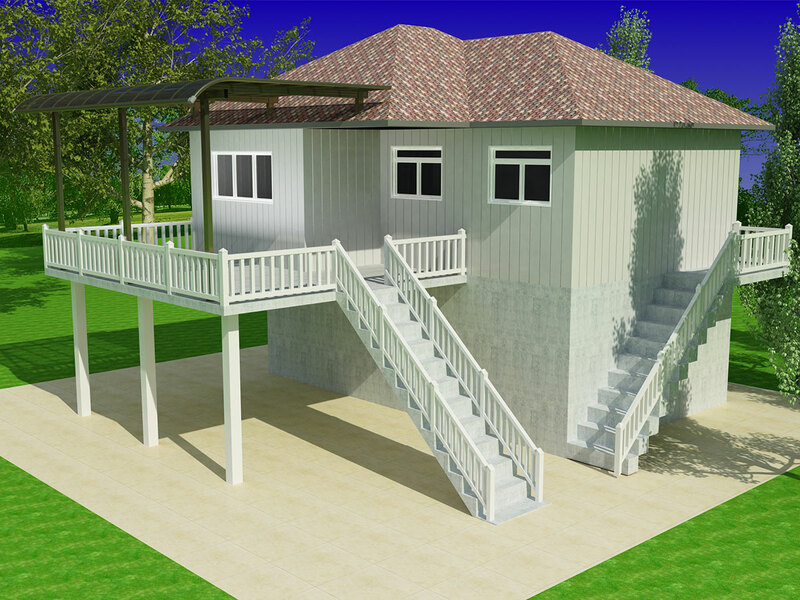 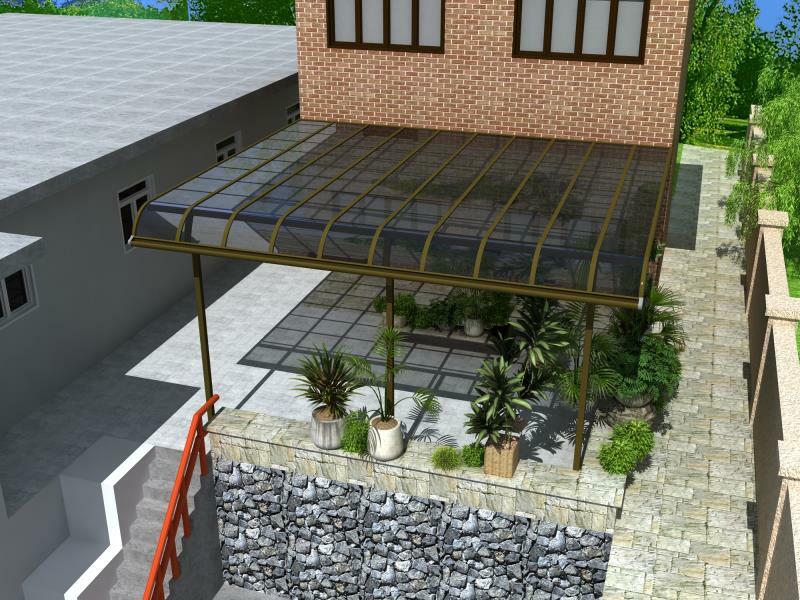 Different styles to choose from our well integrated design with a stylish look. 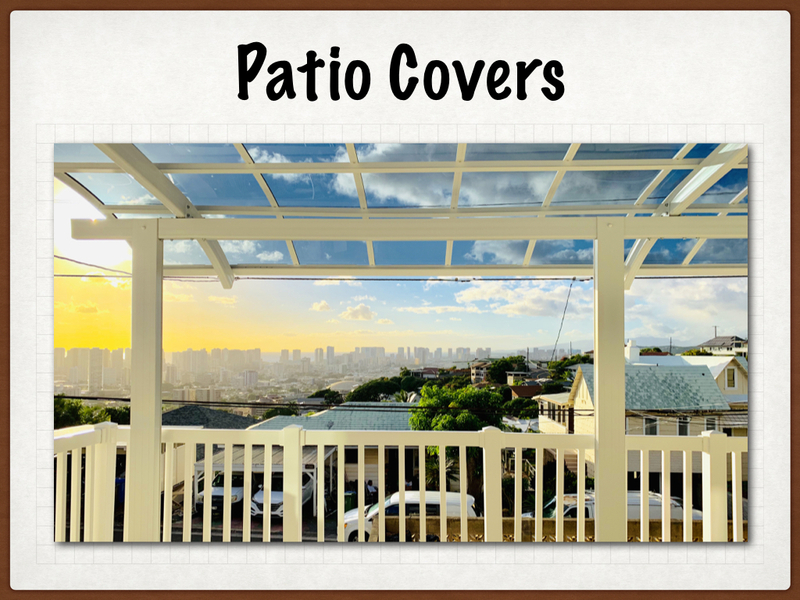 Covers are beautifully designed that are sure to give your house a unique look. 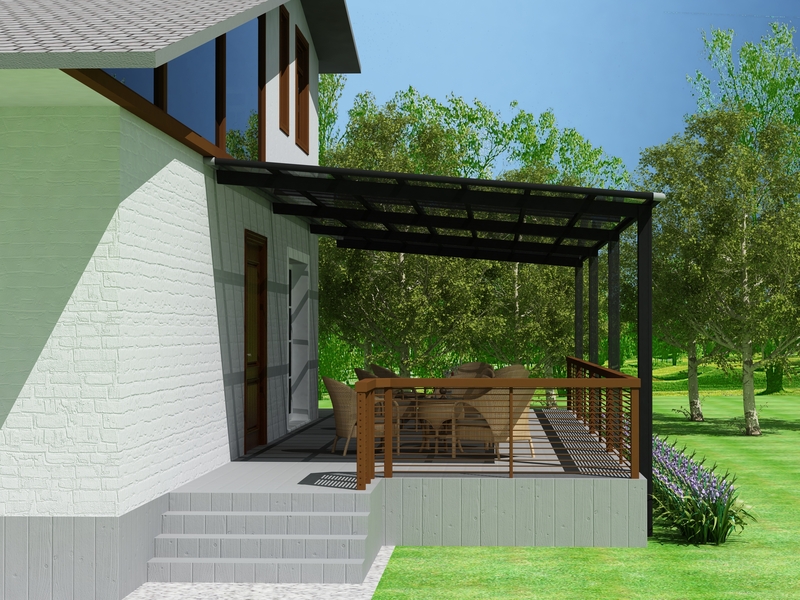 They ensure privacy in your home, while at the same time enjoying the outdoors as you ever have before. 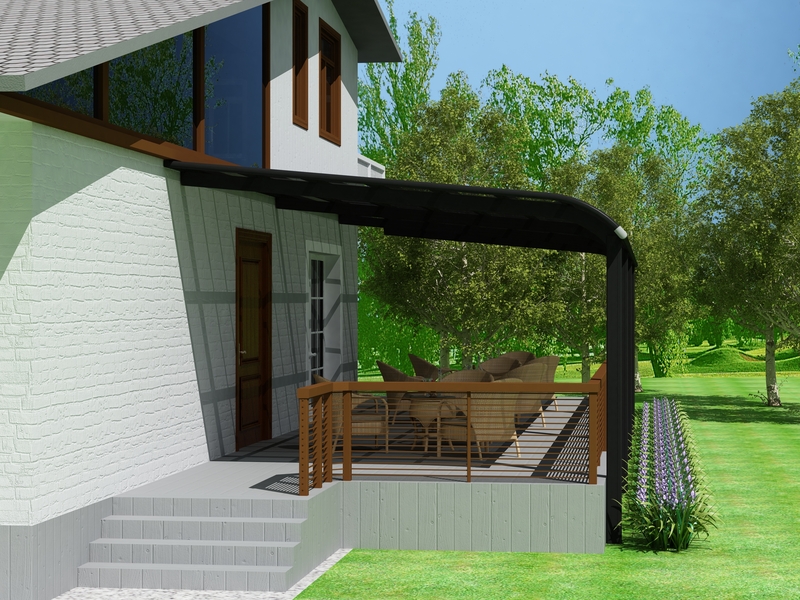 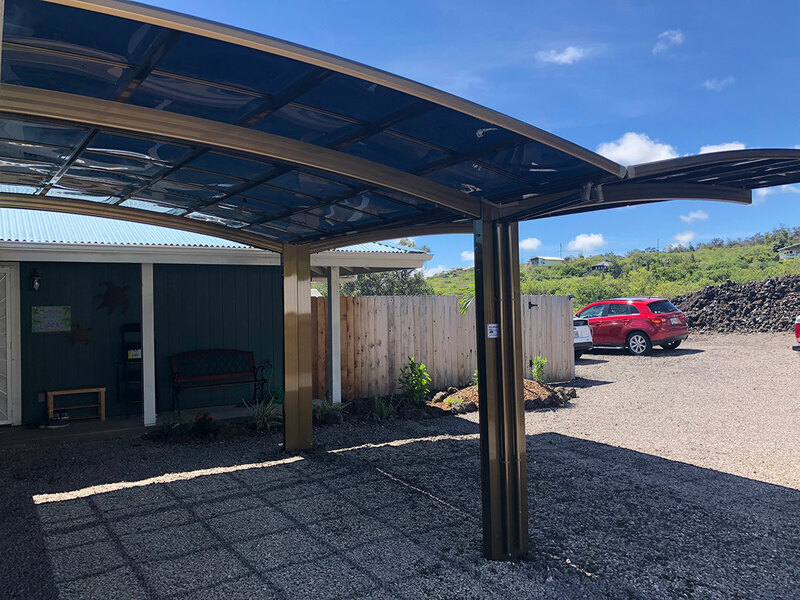 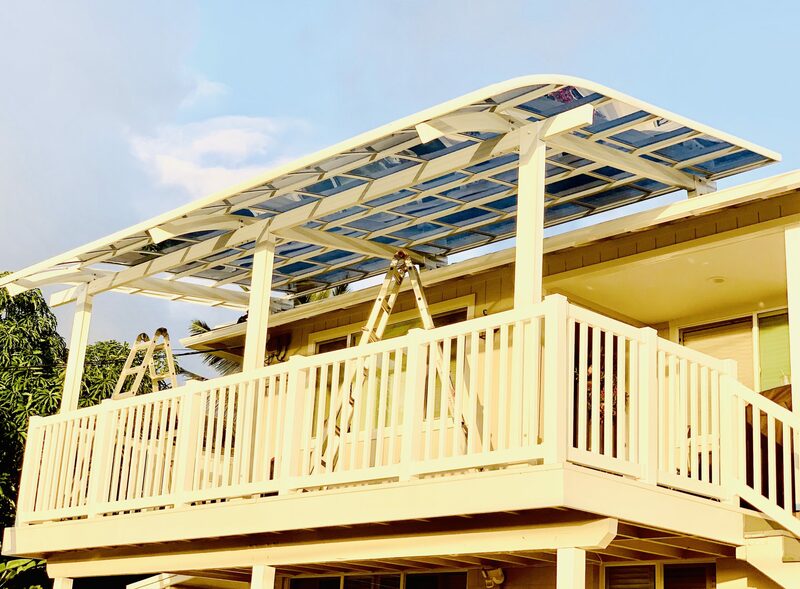 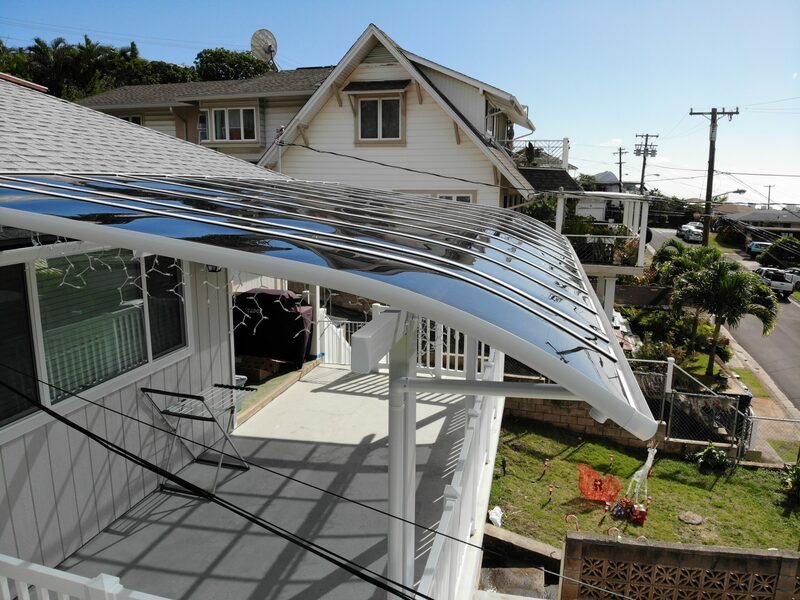 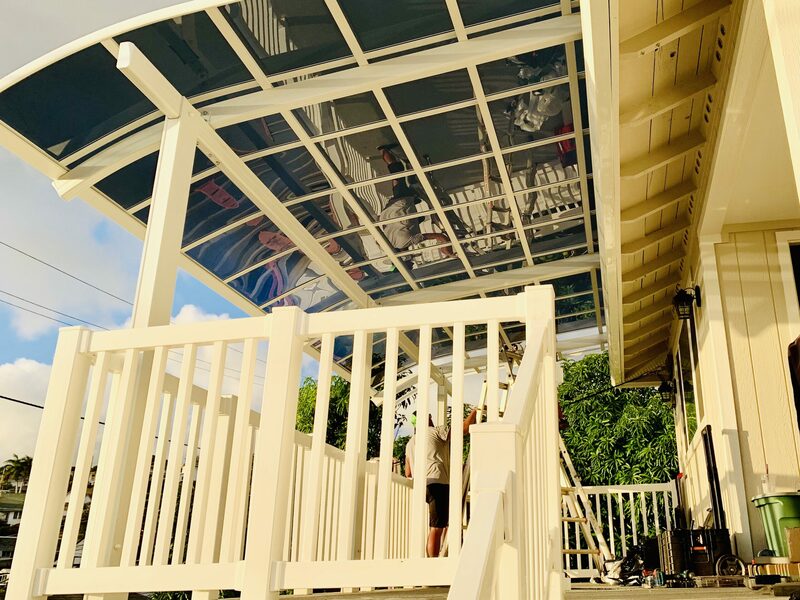 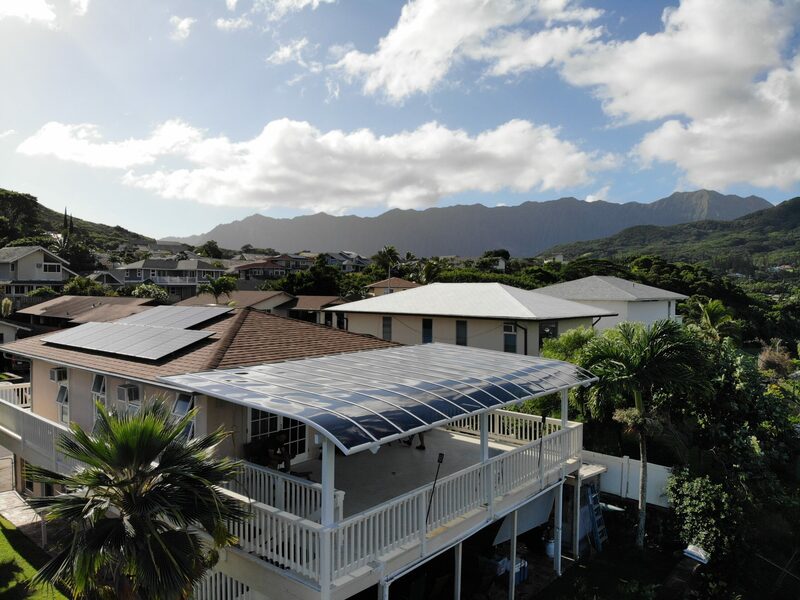 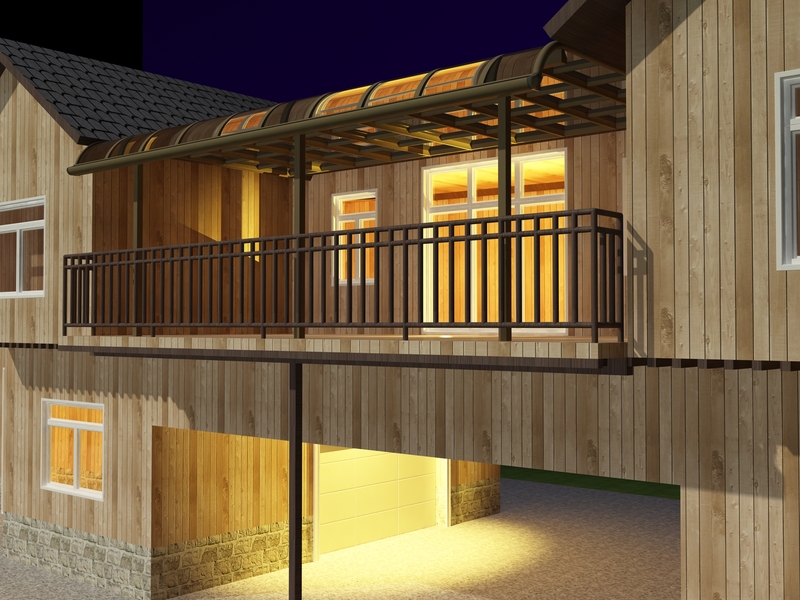 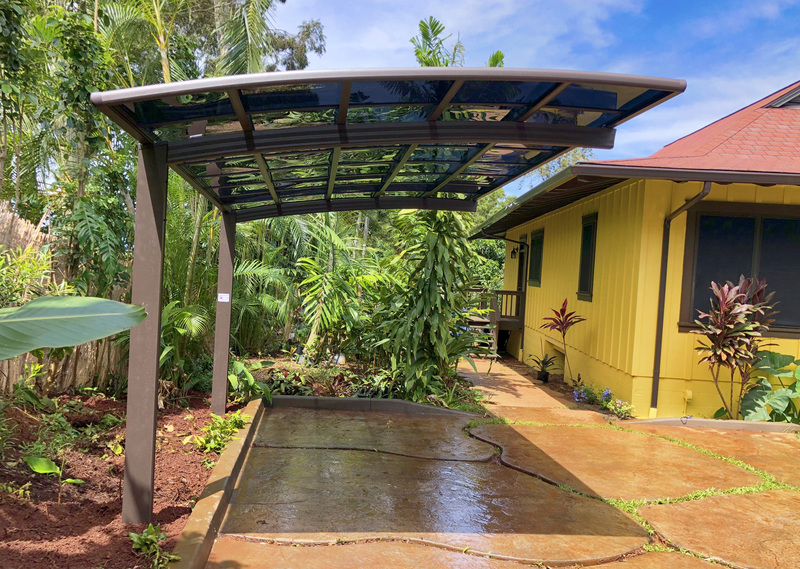 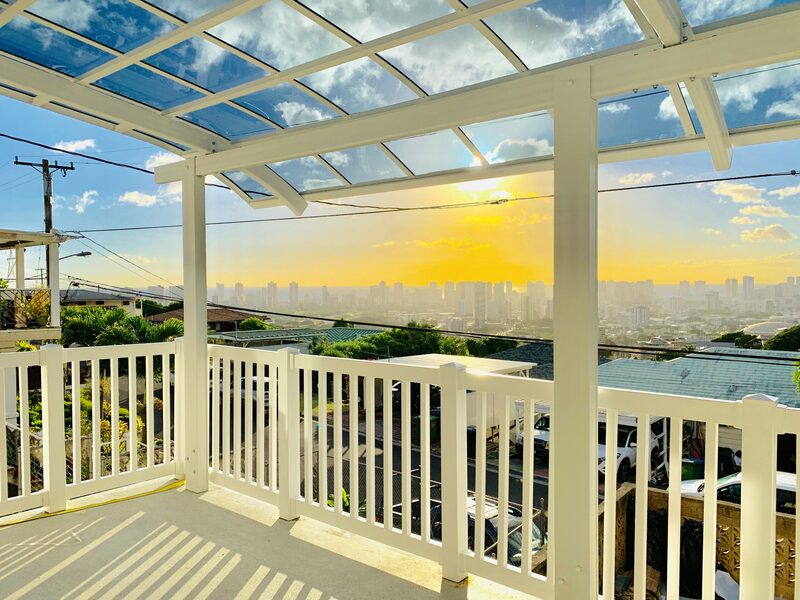 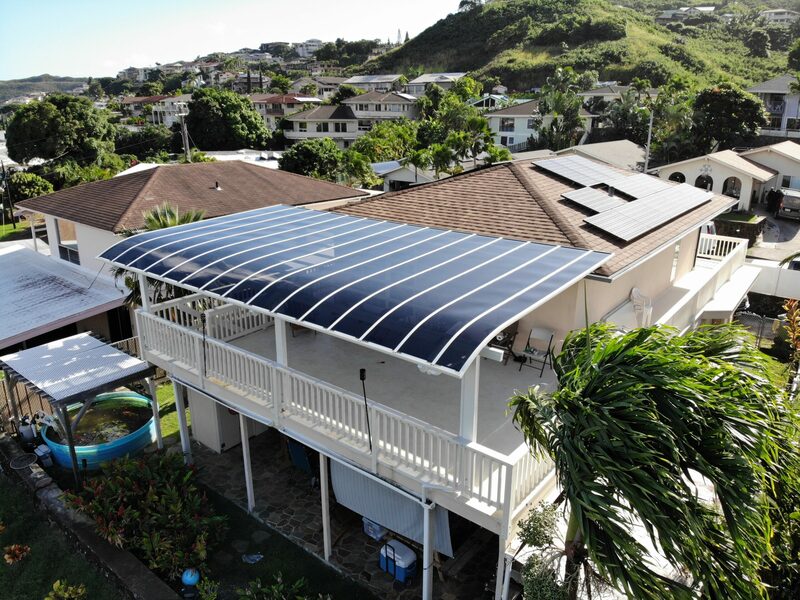 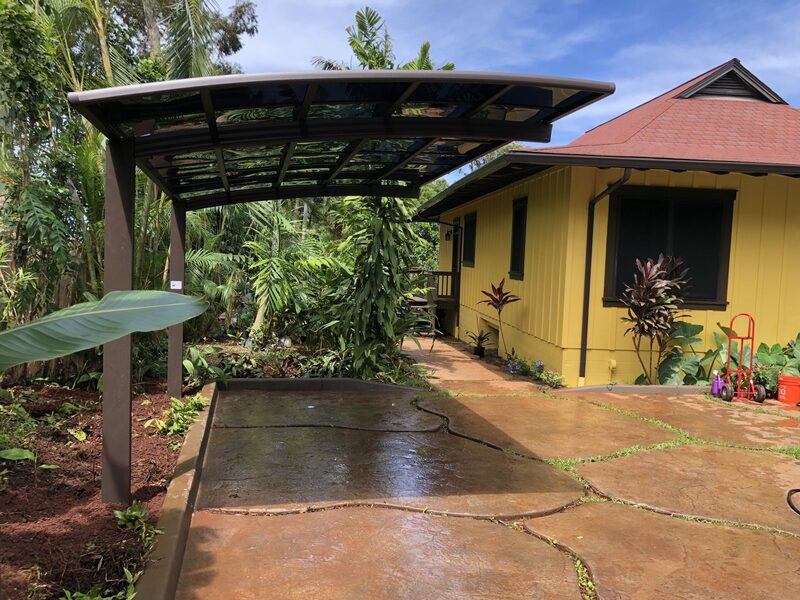 Carports Hawaii presents an outdoor window, door or balcony canopy awning. 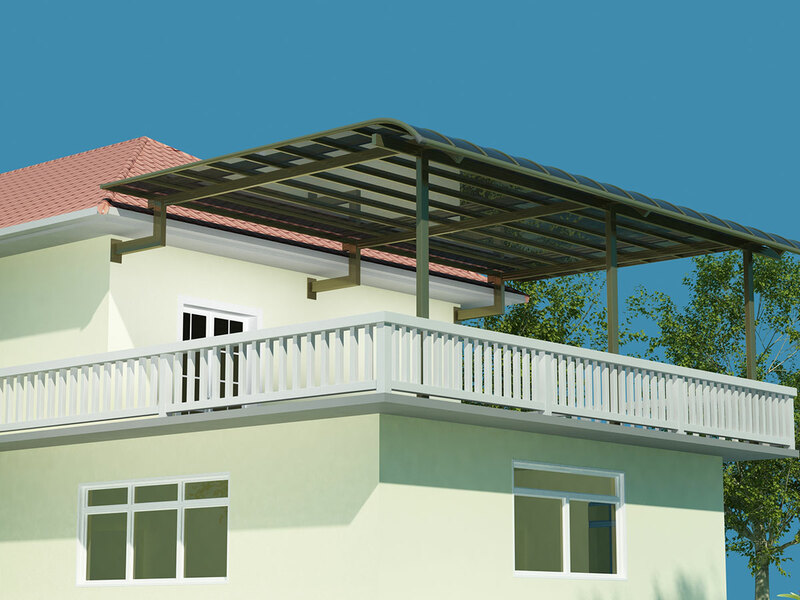 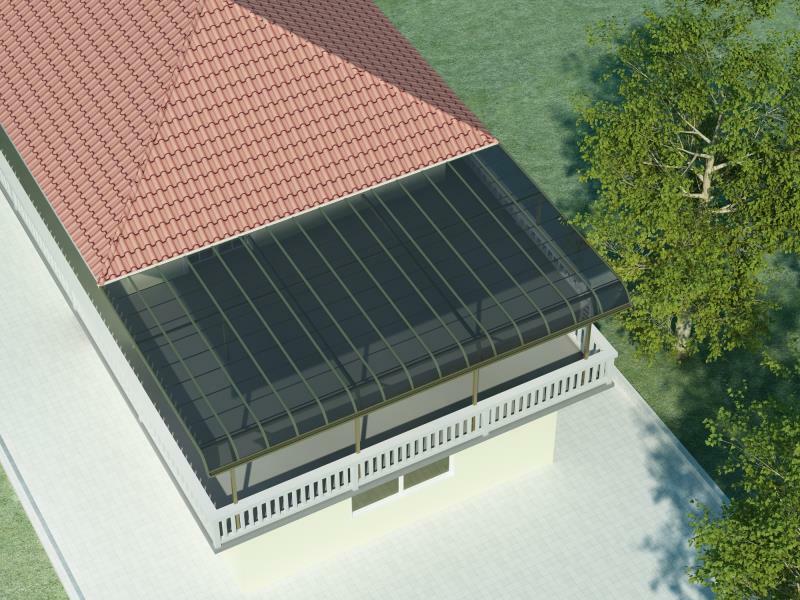 Designed to be versatile that it can be applied as a doorway canopy, window awning or balcony cover. 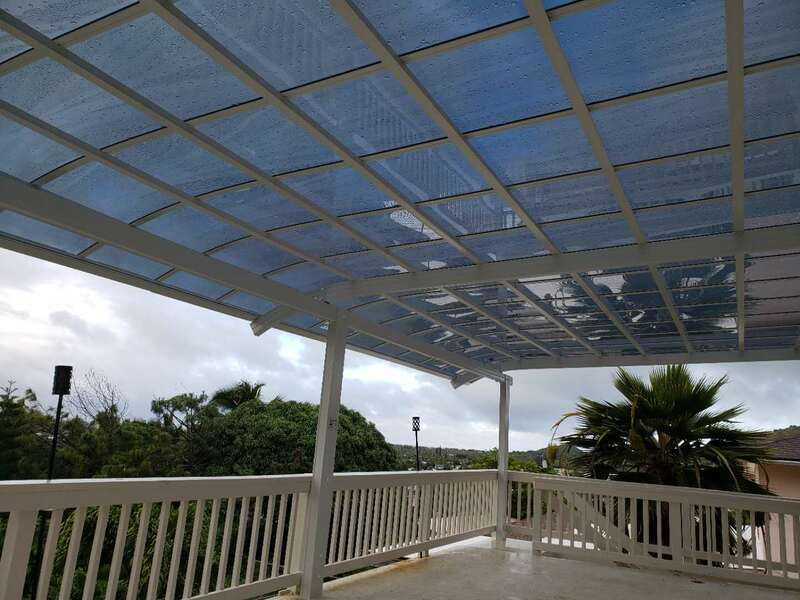 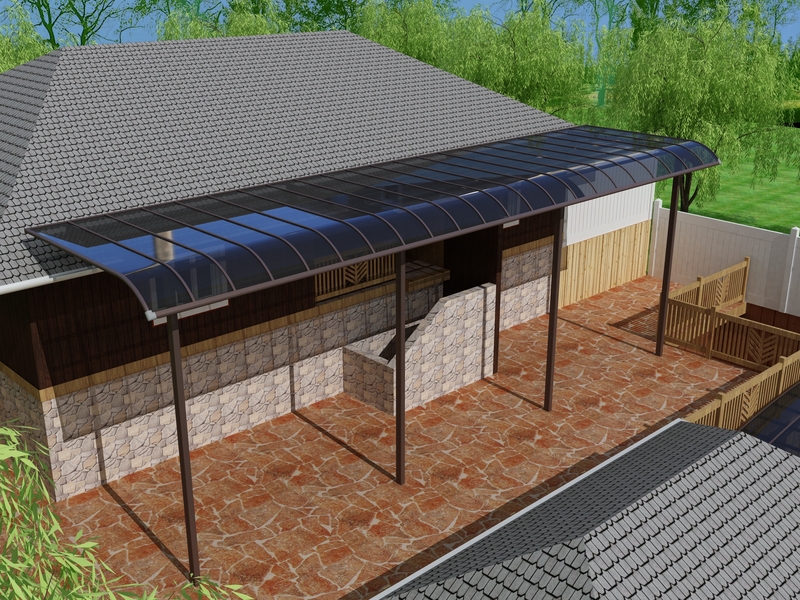 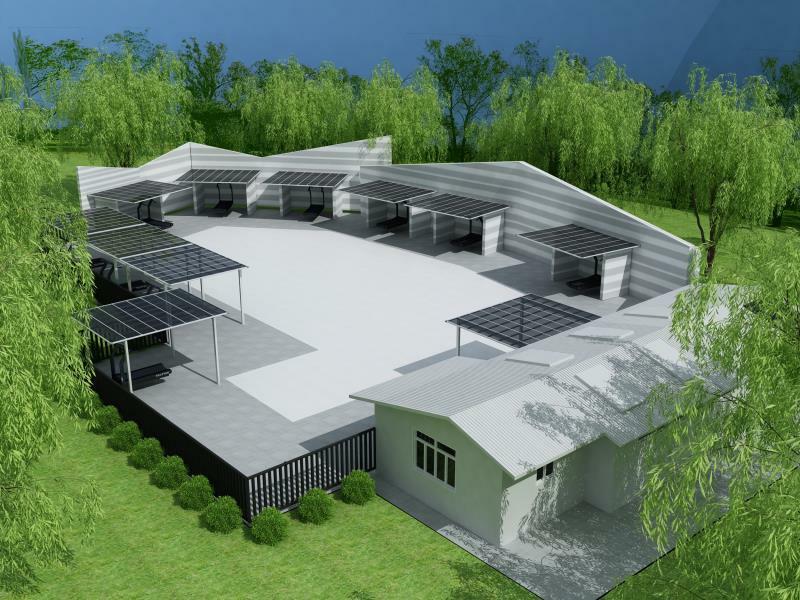 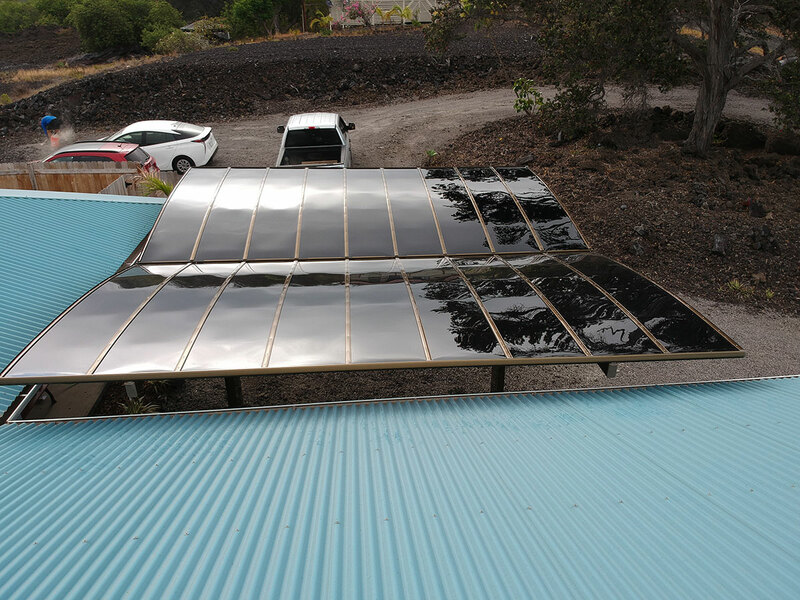 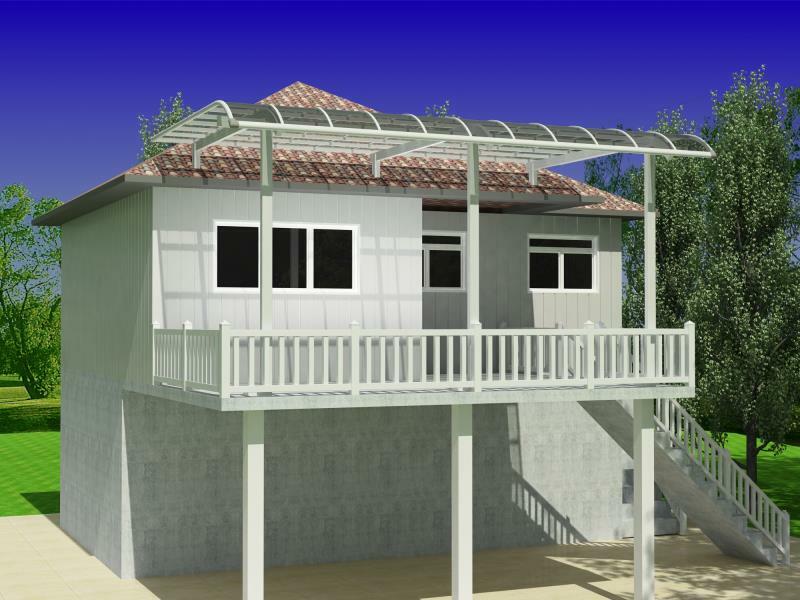 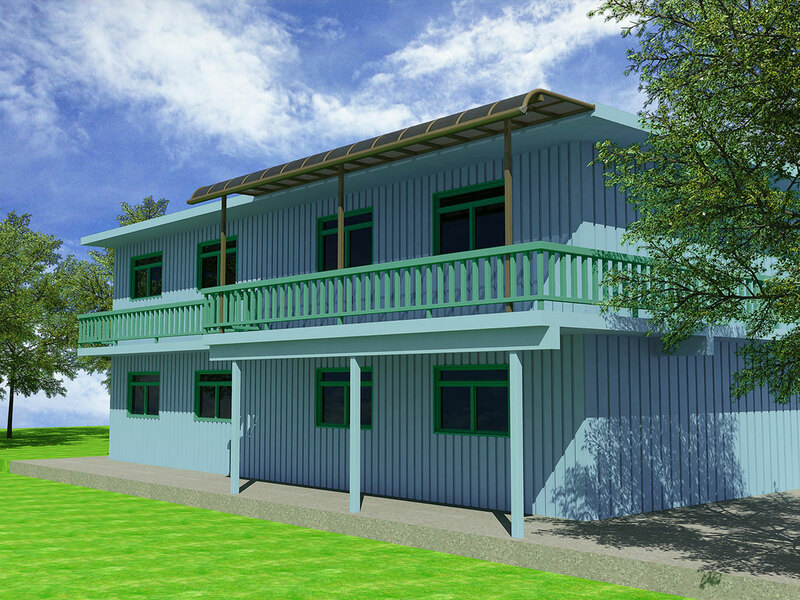 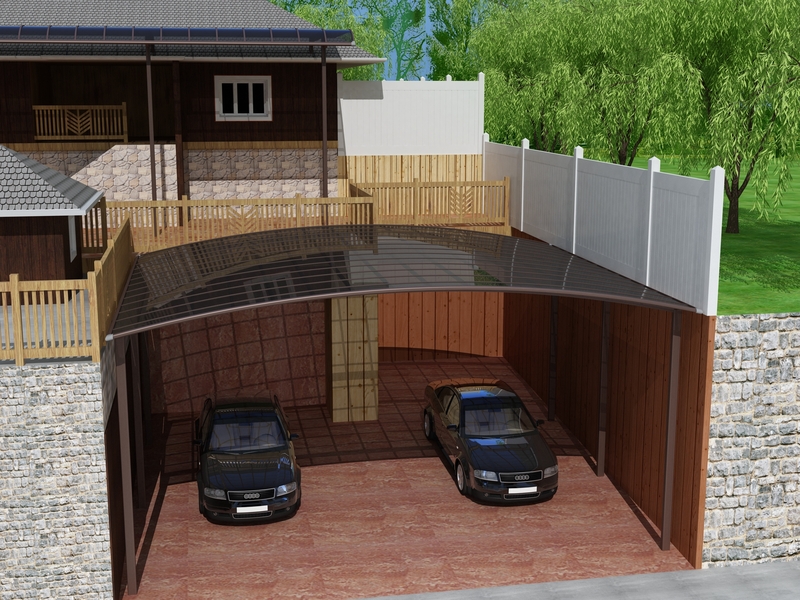 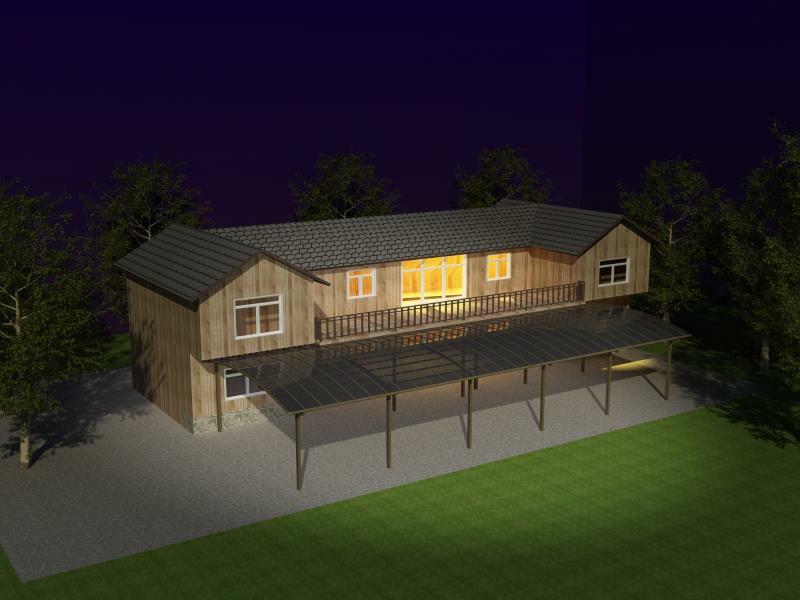 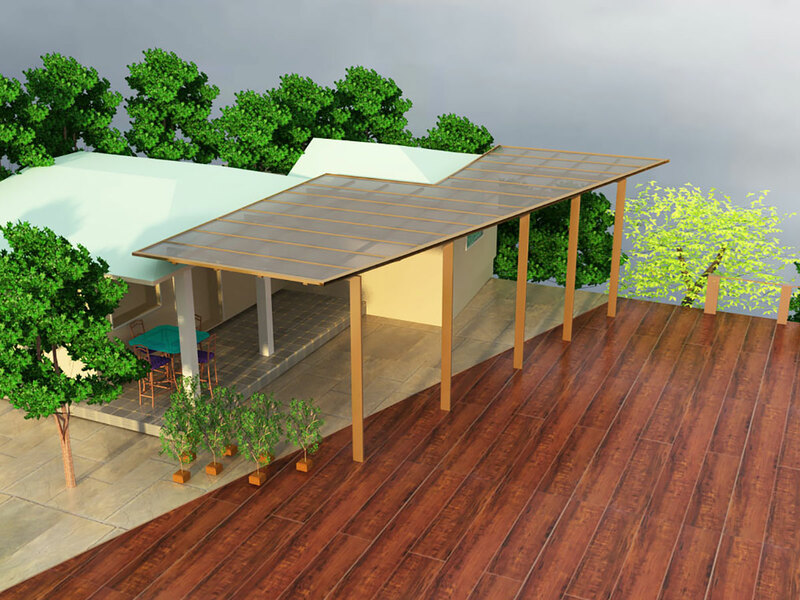 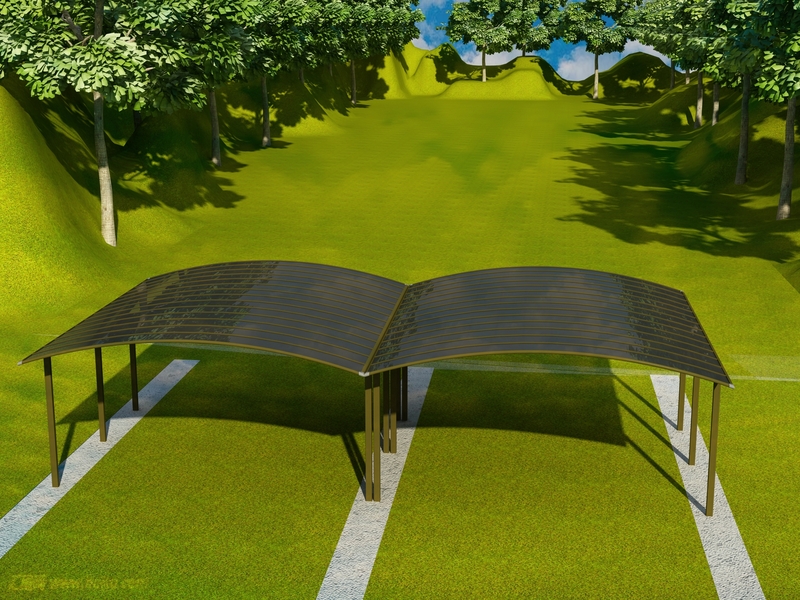 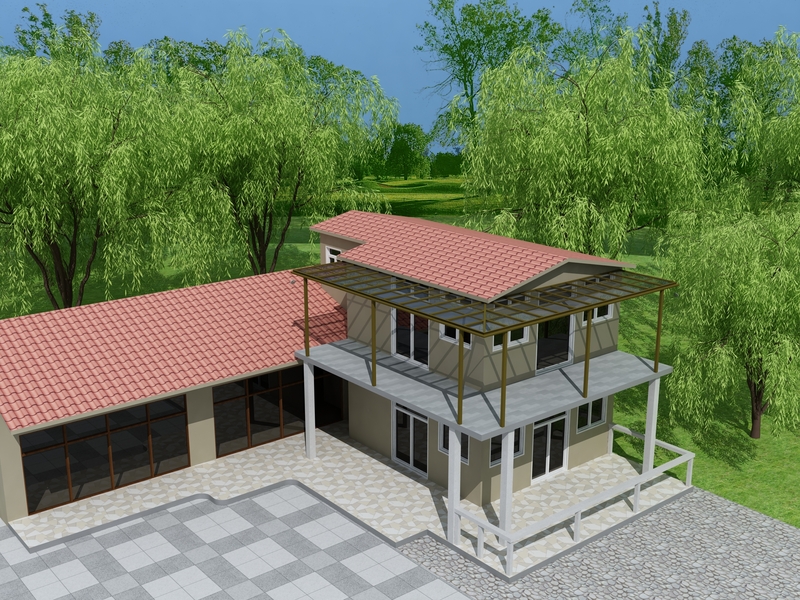 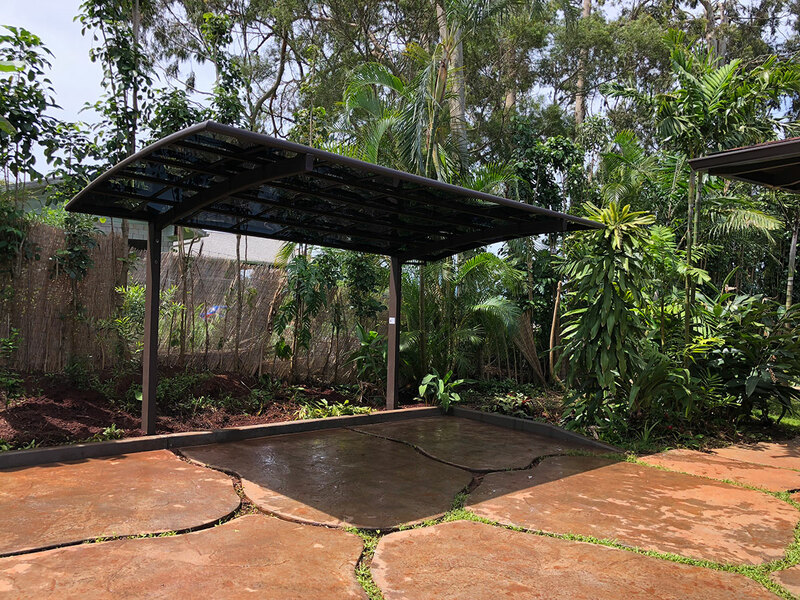 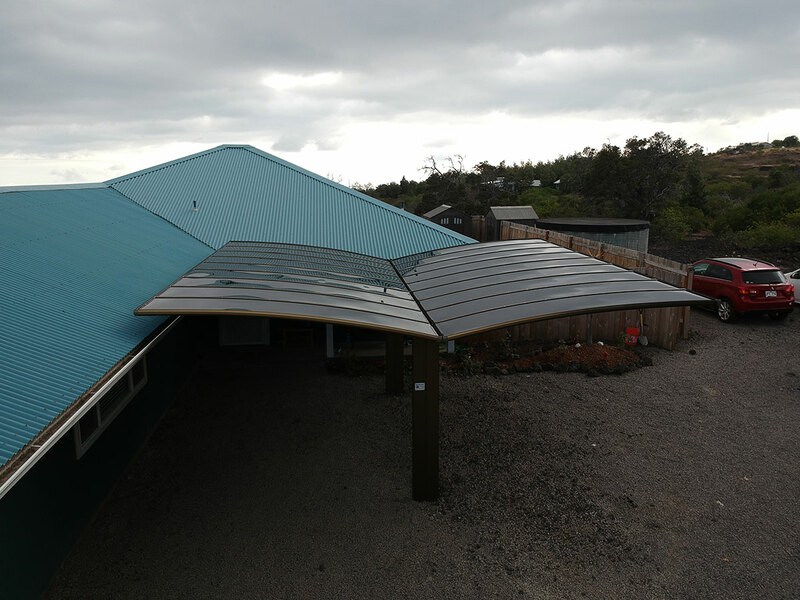 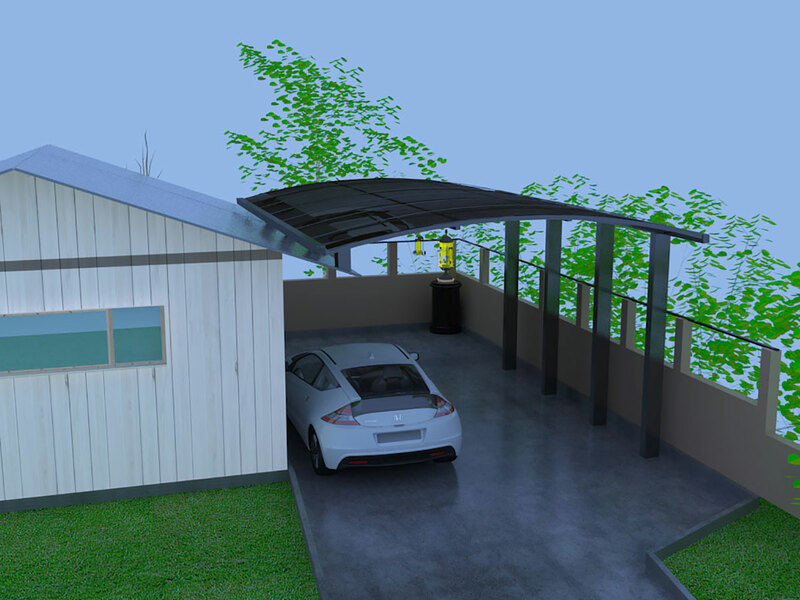 Besides adding a modern touch to the property, it also provides protection from sun and rain. 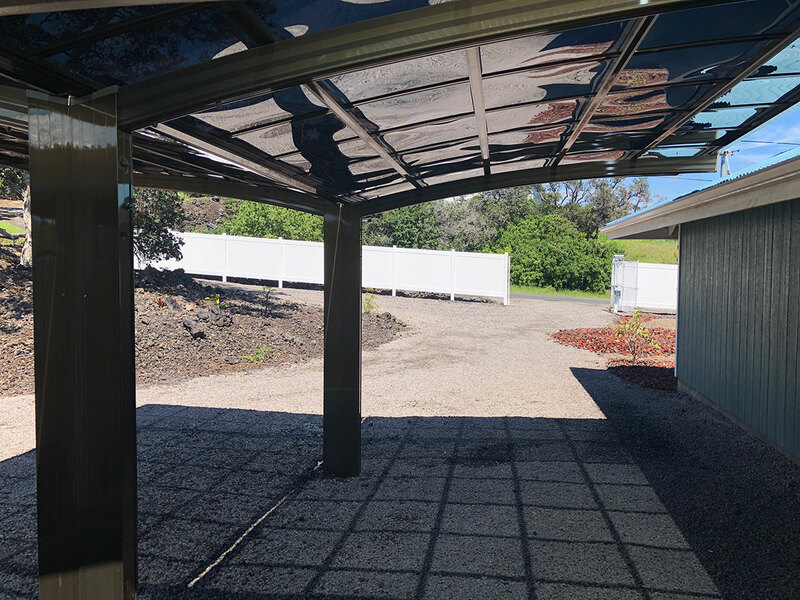 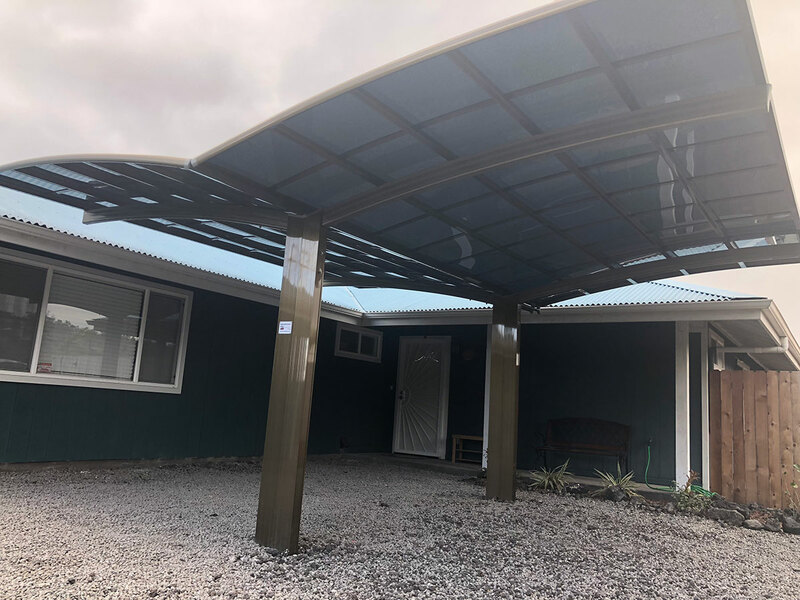 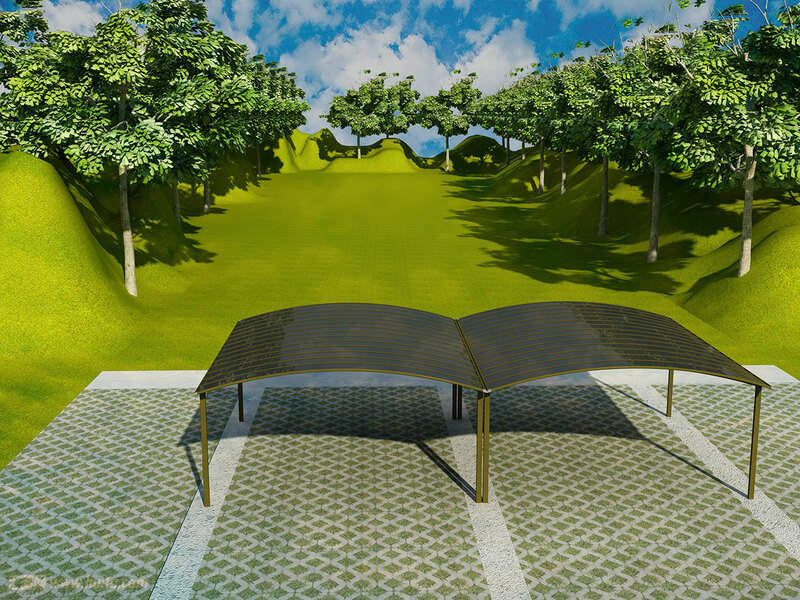 Combining with both contemporary appearance and function in mind, this canopy is not only a functional cover but also a decoration to your living space. 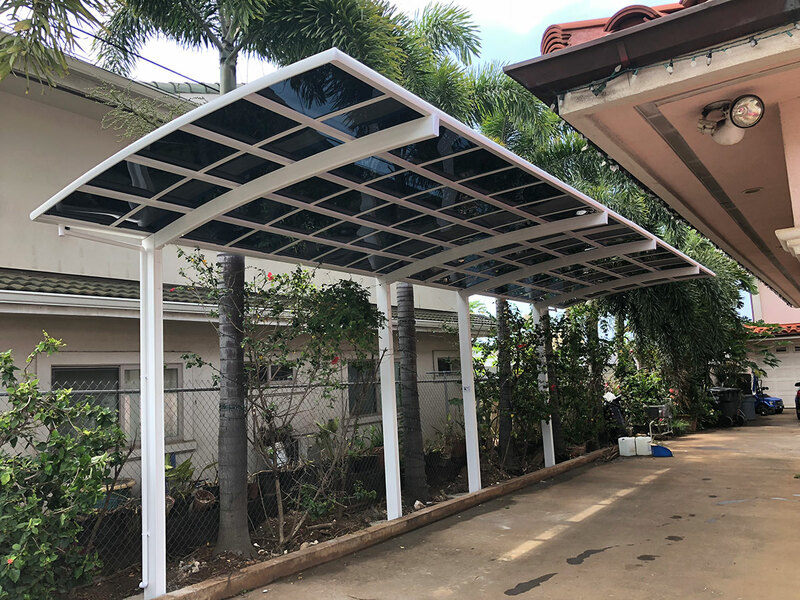 Let Us install for You!